Based on available research results, the best medicinal mushroom in the world is a little known fungus called Coriolus versicolor. Other common names for the Coriolous versicolor are turkey tail mushroom or yunzhi in Asia. The turkey tail name came from the unusual palette of streaks it adorns, which resemble a turkey’s feathers. Since turkey tail mushroom has no culinary use, it gets no recognition. Coriolus versiciolor is one of the most clinically studied botanical in the world with over 400 studies from reputable institutions like MD Anderson, Memorial Sloan-Kettering, Queensland University of Technology and the likes. It’s recorded usage in history dates back to mid 1300’s during the Ming dynasty in China. Furthermore, yunzhi has been used for its health benefits by the Chinese for thousands of years. In Japan, it’s referred to as cloud mushroom and looked at as a symbol of longevity, health, spiritual attunement and infinity. Research has shown that this particular mushroom has many curative properties which can help improve your overall well being. The turkey tail mushroom has two elements: polysaccharide peptide (PSP) and polysaccharide-K (PSK, Krestin). The two elements contain the properties necessary for modulating and as well as boosting one’s immune system. 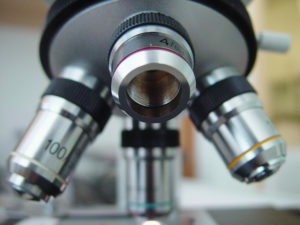 With a strong immune system, the person would be able to fight off many illnesses. Many research papers and clinical studies by highly reputable universities and medical institutions around the world are available on PSP and PSK with very encouraging results. 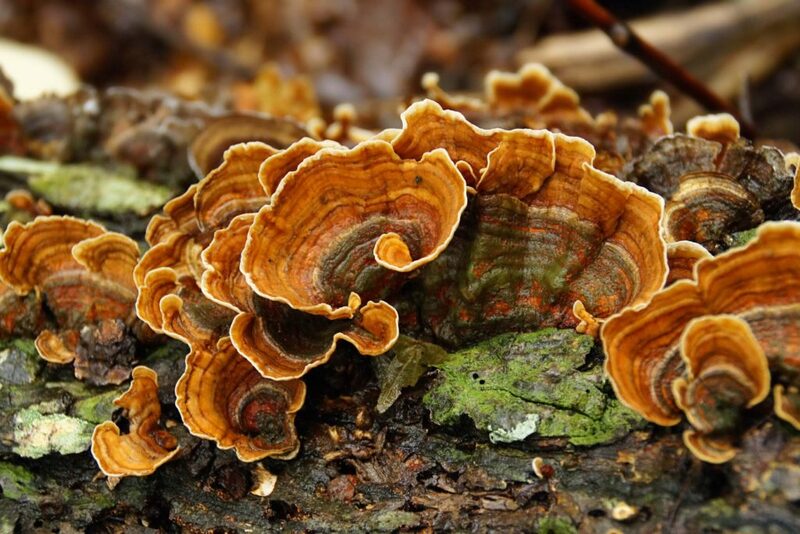 In 1970s, Japanese scientists researched on Coriolus versicolor employing modern technology, and successfully extracted a PSK from the CM-101 strain of turkey tail mushroom. Furthermore, they used only the deep-layer-cultivated mycelia of the mushroom. The extraction method used was mycelium salting out with ammonium sulphate. The medicinal ingredients of PSK include protein bound polysaccharides, average molecular wt. 1x 105 Da. The polysaccharides are formed from many monosaccharides containing alpha-1,4 and beta-1,3 glycoside linkage. Peptide mainly consists of aspartic and glutamic acids. Polysaccharides do not contain arabinose and rhamnose, but contain fucose. PSP is derived from yunzhi, strain Cov-1 and is discovered in 1980s by Chinese scientist Dr. Yang. Like PSK, PSP also only uses deep-layer-cultivated mycelia. However, to produce PSP, Dr. Yang adopted an intracellular extraction, then alcohol precipitation to get the final ingredients. The medicinal ingredients of PSP include polysaccharide peptide molecular wt. 1 x 105 Da. Polysaccharides contain galactose, glucose, mannose, arabinose, rhmanose and xylose. The amino acids most frequently found are aspartic and glutamic, nucleic acid, Alpha-1,4, Beta-1,3 and beta 1,6 glycoside linkages. Do not fret! We are not about to ask you to go into the forest and collect the turkey tail mushroom. In fact, there are well over 100 stains of Coriolus versicolor mushroom and their properties vary dramatically. Furthermore, the properties vary even with different phase of the mushroom’s lifecycle. Also, the extraction techniques after harvesting play a critical role as well. Thanks to modern science, you can get it right here at the click of a button. Mushroom Remedy provides you with the best and most effective mushroom supplements on the market. 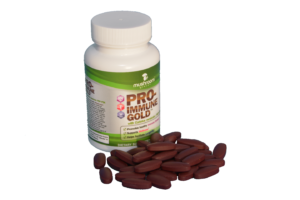 Our PRO-IMMUNE GOLD contains both PSP and PSK for maximum benefit. Mushroom Remedy manufactures all its products in the United States in an FDA approved, CGMP certified facility. In addition, all Mushroom Remedy products are 100% Natural, 100% Vegan, NON-GMO and Gluten Free. Are you suffering from a common cold or flu? Is flu season approaching? Then our turkey tail mushroom supplements are just what you need. Our mushroom immune supplement will help boost your immune system so that you can fight that cold off and if you haven’t caught it yet, keep it at bay. If you’re a chemo or radiation patient or know someone going through these treatments, then our supplements will be ideal in these situations. Why? Chemotherapy is known to lower the immunity in cancer patients. Our supplements are extremely potent and will help raise this immunity making the cancer patient stronger to fight the disease despite the harsh effects of chemo and radiation. The turkey tail mushroom holds probiotics that supports microbiome which aids in the growth of good bacteria in the body. Once you take our supplements, you will begin enjoying enhanced digestion and better yet, lose weight while at it. 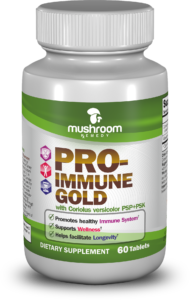 The immense benefits of our mushroom immune supplement are undeniable. Therefore, don’t delay! Click here to start your journey to immune wellness. You will not regret it.